It is not often that I cook elaborate western dishes but when I do, I would sometimes do a roast lamb or beef. 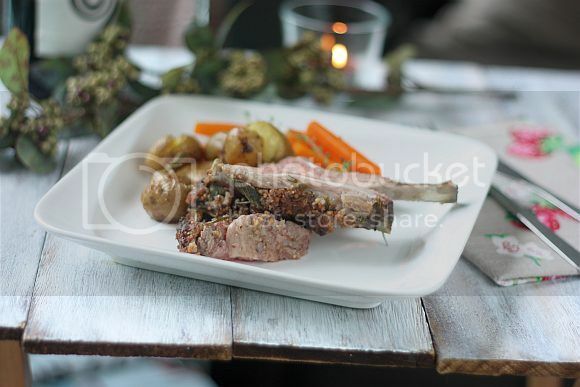 I know some people don't fancy lamb at all and my mum is one! However I believe a fresh cut of lamb does not smell at all especially if you season it with fresh herbs. I was tempted to make lamb a few weeks back and went out of my way to a good supermarket to get a fresh rack. The local supermarket just around the corner from where I live don't stock lamb at all. So I had to go a little bit more out of my usual route. I used a combination of fresh sage and fresh rosemary (from my own pot in my balcony) for this particularly rack. I also think that mustard goes well as part of the marinade. 1) Preheat the oven to 180ºC (350°F/Gas 4). 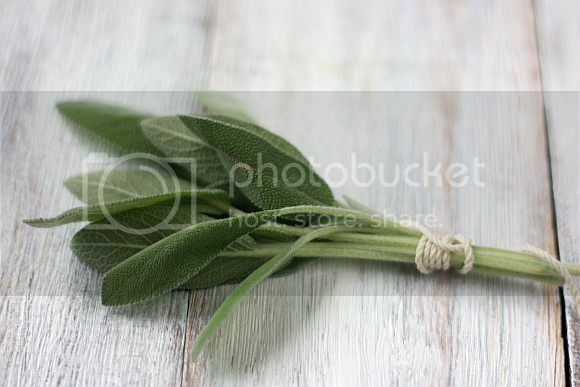 2) In a bowl add the rosemary, zest, garlic, olive oil, mustard, salt and pepper into a bowl and stir to combine. 3) Rub the marinade all over the rack and leave for 30 minutes. 5) Season with extra salt and pepper. Drizsle a bit more olive oil and place the sage leaves on top of the rack. 6) Roast the lamb for about 25 to 30 minutes, or until the lamb is cooked and nicely pink. 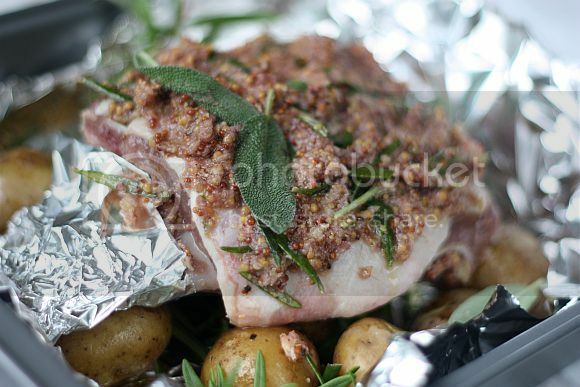 7) Remove the lamb from the oven and leave to rest in a baking tray loosely covered with foil for 5 minutes. 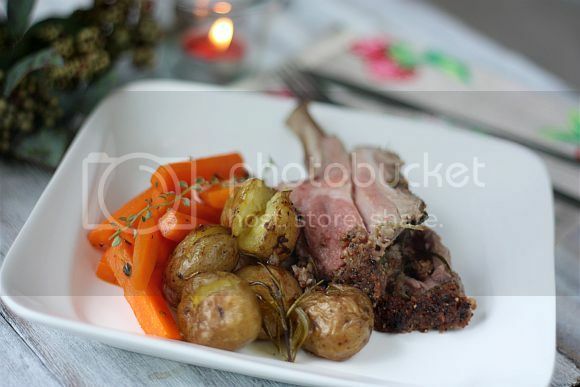 8) Cut the rack into each slice and serve with a side of roasted potatoes and vegetables. This looks awesome!! Loved the droolworthy pictures. Bookmarked! 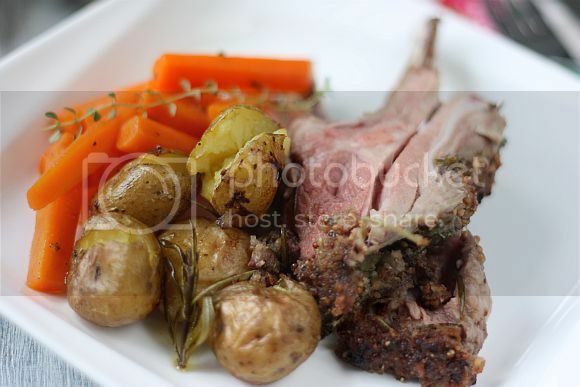 Sound so nice with all the fresh herbs that you added in..
Rosemary is always good with lamb! I seldom cook western too so my most elaborate is chicken or fish with herbs!